SAN FRANCISCO—Chief Justice Tani G. Cantil-Sakauye today announced the reappointment of three Judicial Council members for terms ending on September 14, 2016. The reappointed members are Justice Marvin R. Baxter, Associate Justice of the California Supreme Court; Justice Douglas P. Miller, Court of Appeal, Fourth Appellate District, Division Two; and Judge Emilie H. Elias, Superior Court of Los Angeles County. In addition to the reappointments, the State Bar Board of Trustees appointed Attorney Mark G. Bonino to the Judicial Council for a term commencing on September 15, 2013, and expiring on September 14, 2016. He will replace Attorney Edith Matthai, one of four attorney members on the council. 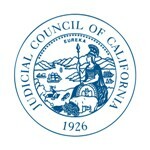 Created by the state Constitution and chaired by the Chief Justice of California, the Judicial Council is the administrative policy-making body for the California courts. The council consists of the Chief Justice, 14 judicial members appointed by the Chief Justice, 4 attorney members appointed by the State Bar Board of Trustees, 1 member from each house of the Legislature, and 11 advisory members. The Administrative Director of the Courts serves as secretary to the council.